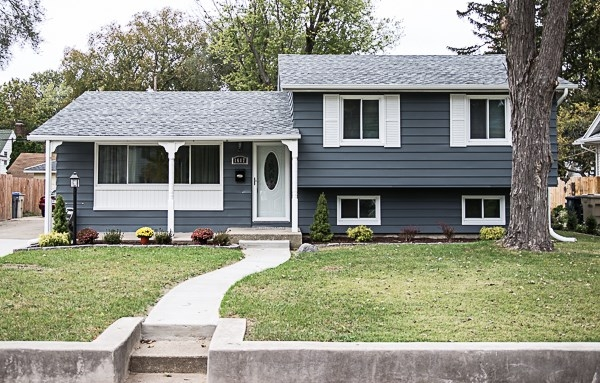 Professionally remodeled inside and out, this home is walking distance from McKinley Elementary School and just one mile from Notre Dame Stadium. Enjoy your custom kitchen with new cabinetry, breakfast bar, countertops with mosaic backsplash. Brand new stainless steel appliances are included with a 3 year warranty. Main level bath boasts a brand new tub with ceramic accents, new flooring, cabinetry, double quartz countertop and high-end satin nickel accents. Other quality features include new flooring throughout, new satin nickel lighting, new interior and exterior doors, trim, brand new 35 year architectural shingled roof, new water heater and much more. Exterior updates include a new concrete driveway and sidewalk, new landscaping, new gutters and a new privacy fence in the back yard. Broker Owned. Listing provided courtesy of Re/Max County Wide 1st.